In 1823, after a month lost at sea, a few convicts stumbled upon what is now the Brisbane River: tired, hungry and, most of all, thirsty. A riverside brewery would have been just the thing to lift their spirits, but, alas, they were 200 years too early. As of October 2018, however, people down at the riverside seeking refreshment in the form of life-giving beer will be able to find it at Felons Brewing Co. 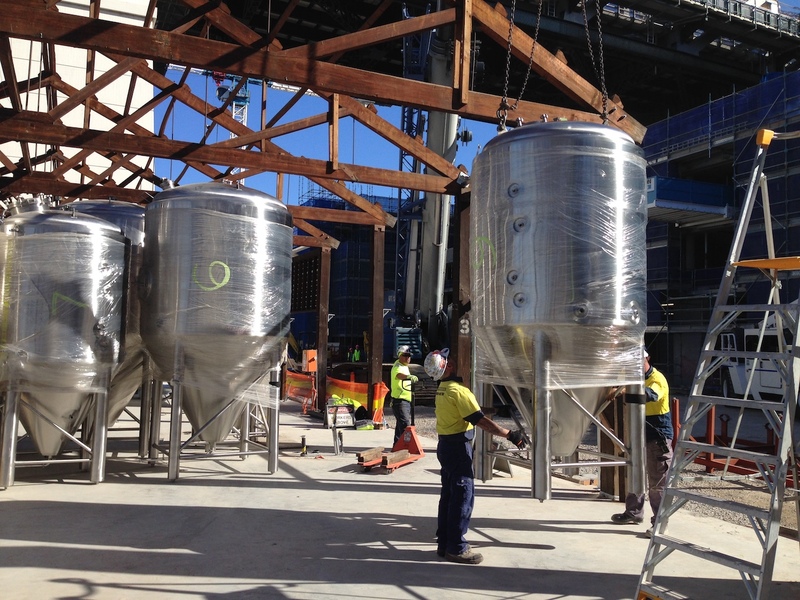 The brewery is taking shape as part of the Howard Smith Wharves redevelopment on the river beneath the northern end of the Story Bridge. But the phrase “on the river” isn’t just referring to the way it reaches all the way to the water’s edge: the wharf building is literally on the river, built out over the water in the 1930s. 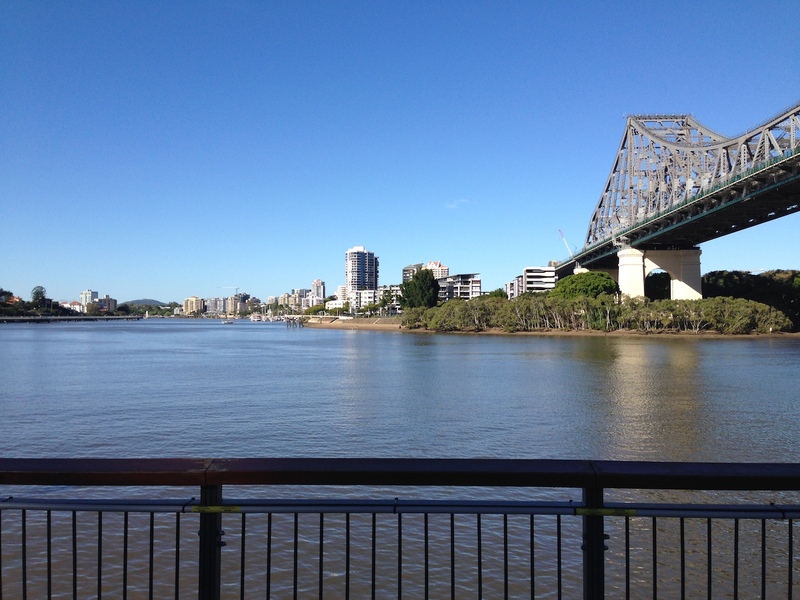 The grand underbelly of the Story Bridge and the shining Brisbane skyline incite awe in anyone visiting the spot, matched only by the impressive natural features of the towering rock cliffs on one side and the two great arms of the river stretching away on the other side. The 1000 square metre building itself is heritage-listed, meaning Felons has to retain the skeleton and overall shape of the original wharf structure built in 1934. The rustic timber beams will remain exposed, and the wall overlooking the river will be made up of huge windows and doors to let natural light and views of the river dominate. Additional decor will be kept to a minimum to allow the industrial maritime origins to show through, while emphasising the fact you are now in a brewery: only a small fence will separate punters from the brewing tanks. 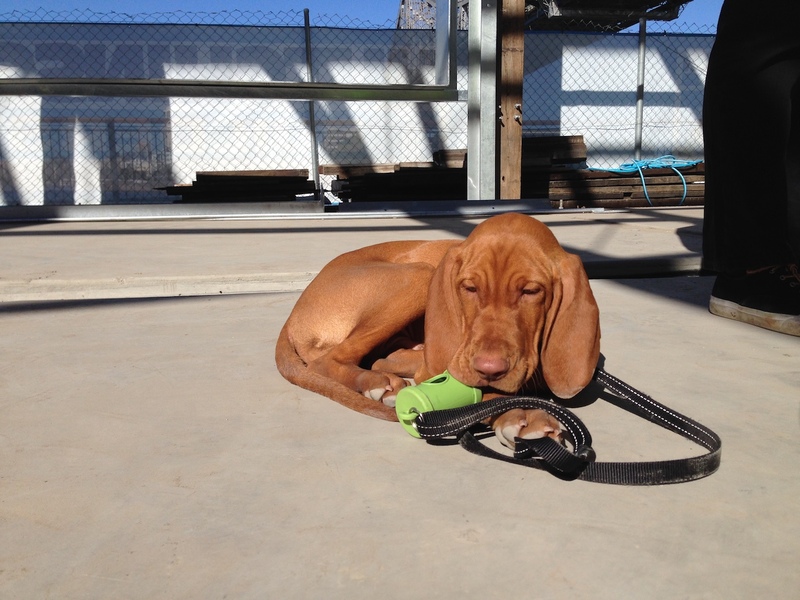 Felons Brewing Co starts to take shape under Brisbane’s Story Bridge. Overseeing the development of Felons is Ash Cranston, who brings with him a decade of managing and marketing experience at Little Creatures. He also brings 6-foot-4 Tom Champion (his height seems relevant somehow), ready to be unleashed as head brewer. Tom will stand at the helm of a 25hL four-vessel DME brewhouse, tasked with filling the slew of 25hL and 50hL fermenters that were loaded into the brewery mid-June. While the beer recipes are still undergoing final tweaks, the tentative core range will include a mid-strength (“some nice, spicy, earthy notes, from predominantly Enigma, and then a little bit of a Kiwi hop for something different”), a lager (“this one’s challenging to get right… we’re trying to balance the New World, hoppier style of lager with that traditional European lager taste” ), an Australian pale ale (“Galaxy hops, of course”), and an IPA (“I’m getting pretty excited about the IPA now that I’m starting to see the dry hop formula coming through.”). Ultimately, the plan is to distribute their beer locally and interstate, but not for at least six months; their first priority is keeping the beer flowing for the hordes of people on site. Prepare to party like it’s 1823 thanks to Brisbane’s brewpub on the river. The brewery itself will have an impressive 1,000 person capacity, including the area spilling out into the beer garden and boardwalk looking out over the river. Felons will also be supplying beer for the other dining venues within the Howard Smith Wharves precinct, for those who want the beer but not the brewery experience (such people exist, apparently). And, thanks to an excellent licensing decision by the precinct, patrons will be allowed to take their beer into the adjoining parklands and party like it’s 1823. There’s been some skepticism surrounding the arrival of big new breweries in Brisbane among the crafty crowd – there has been a rather large number opening in the past couple of years or coming soon, after all. 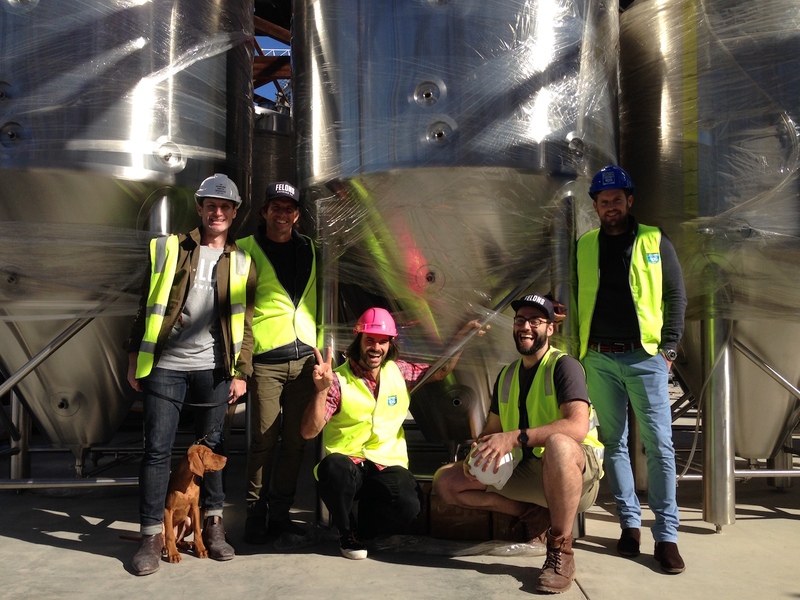 When BrewDog’s imminent arrival was announced, for many the response was along the lines of: “We love to see more great beer in our city… but will it hurt the smaller breweries?” While Felons won’t be as big (brewing capacity wise) as the 50hL Scottish giant rising up in Murarrie, some of those same thoughts are beginning to surface. “I think the opportunity here is to grow the overall awareness of what’s going on in Brisbane,” says Ash. “Brewsvegas is great, but small; there’s no brewery trail; there’s no map of all the breweries. Queensland has the fastest growing beer scene in Australia, and Queensland breweries have made a habit in recent years of collecting awards like your Nanna collects teaspoons. As far as quality goes, Queensland punches well above its weight, and the arrival of breweries like BrewDog and Felons in Brisbane is a sign the rest of Australia (and the world) is starting to take notice. While it’s true that Brisbane doesn’t just need more breweries brewing more beers to target taps in the same venues (and the same drinkers), that’s not what’s happening here. As well as brewing beer, Felons is bringing resources and the desire to spread awareness and increase education, to help more people come to appreciate excellent beer in Queensland. They have a location and capacity with the potential to welcome newcomers to locally brewed, flavoursome beer in the same way Little Creatures did at its water’s edge location in Fremantle. Set to open in October, Felons is quickly transforming from a construction site to a fully operational brewery and a monster of a hospitality venue. It’d be criminal not to get on board. Originally published on The Crafty Pint on 21st June, 2018.